WASHINGTON, April 3, 2019 /PRNewswire/ -- The Semiconductor Industry Association (SIA) today released a set of government policy recommendations for sustaining and strengthening America's global leadership in semiconductor technology and ensuring the United States wins the race to harness the transformative, semiconductor-enabled technologies of the future, including artificial intelligence (AI), quantum computing, and advanced wireless networks. 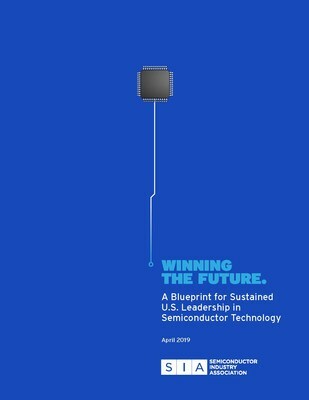 SIA's policy blueprint lays out the federal policies needed to sustain U.S. leadership in semiconductors and emerging technologies of the future. 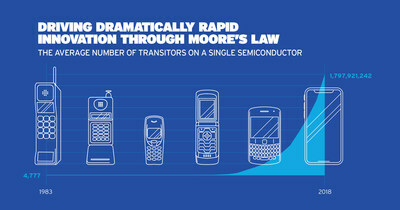 The extremely rapid pace of semiconductor innovation has enabled tremendous advances in countless modern technologies. The report identifies three domestic policy areas – research, workforce, and trade/IP protection – where urgent government action is needed to ensure America rises to these challenges and sustains its global leadership in semiconductor technology and the revolutionary technologies semiconductors enable. The Semiconductor Industry Association (SIA) is the voice of the semiconductor industry, one of America's top export industries and a key driver of America's economic strength, national security, and global competitiveness. Semiconductors – the tiny chips that enable modern technologies – power incredible products and services that have transformed our lives and our economy. The semiconductor industry directly employs nearly a quarter of a million workers in the United States, and U.S. semiconductor company sales totaled $209 billion in 2018. SIA members account for nearly 95 percent of all U.S. semiconductor industry sales. Through this coalition, SIA seeks to strengthen leadership of semiconductor manufacturing, design, and research by working with Congress, the Administration, and key industry stakeholders around the world to encourage policies that fuel innovation, propel business, and drive international competition. Learn more at www.semiconductors.org.